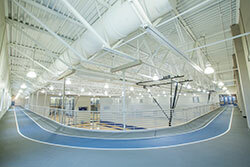 Come walk, jog or run on our 1/8 mile indoor rubberized track which overlooks the gyms below. Adjacent to the track area you will find a stretching area that is equipped with medicine balls, kettle bells, foam rollers, jump ropes, ab mats and TRX equipment. 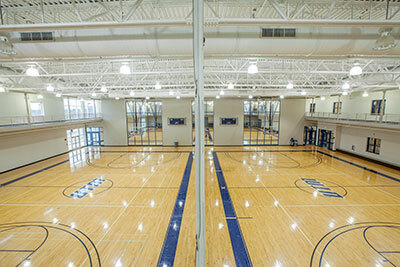 Consist of four basketball courts that can be converted into four volleyball courts and three badminton courts upon request. 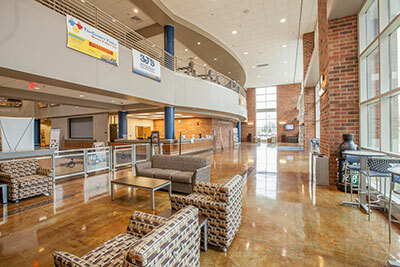 Lobby provides space to lounge, watch TV or enjoy a snack. Come and enjoy a friendly game of table tennis, billiards, table shuffleboard, foosball, cards or a variety of other games in our leisure recreation area! 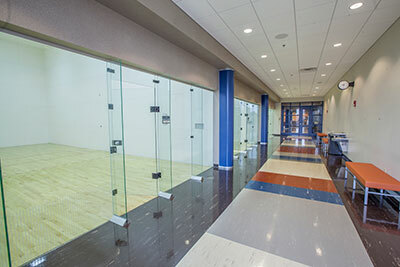 Whether you're a beginner or a pro at racquetball, we offer three courts available for play. Wallyball is similar to volleyball and is played inside the racquetball courts. Equipment can be checked out at Rec Check. In exchange for your Skyhawk Card we will provide you with all the equipment you might need to recreate in our facility. 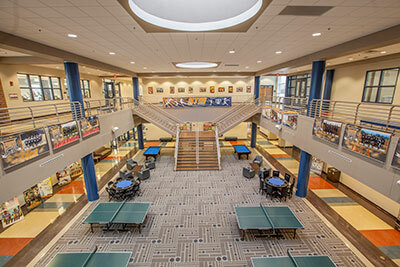 Equipment available for check out: table tennis, billiards, foosball, table shuffleboard, card games, basketballs, volleyballs, racquetball, and wallyball. 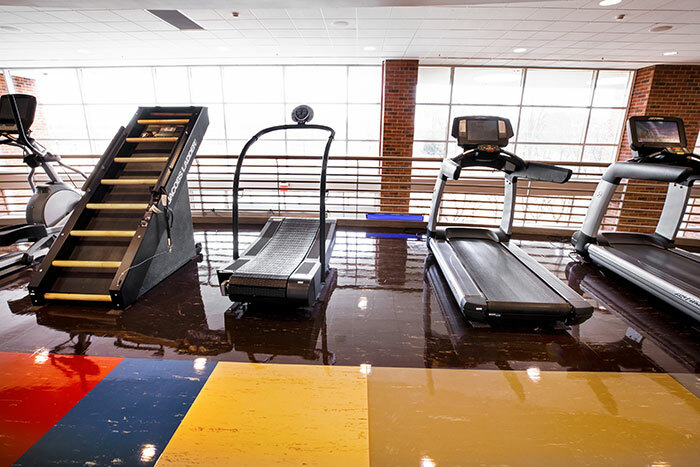 Here you will find a variety of cardiovascular equipment; including treadmills, recumbent bikes, stair climbers, ellipticals, spin bikes, and power mill climber. 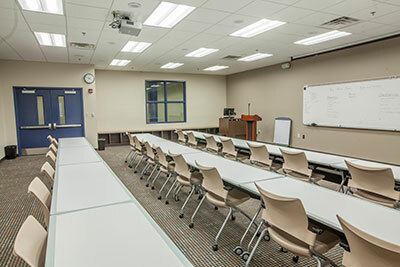 Classroom is fully equipped with anything you might need for your presentation or meeting and offers seating up to 35. 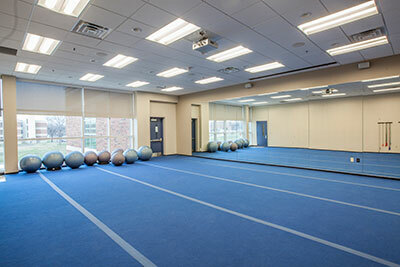 In this room you are able to complete an individual workout or a take one of our exceptional group fitness class! 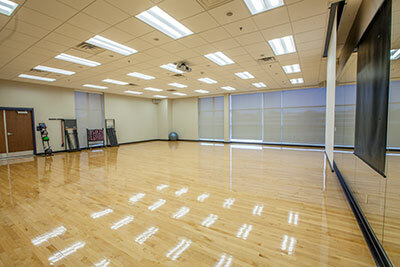 There are a variety of group fitness classes offered during the afternoon and evening hours. 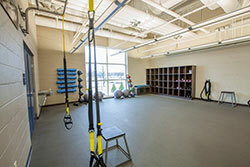 With a gymnastics style flooring, this is a great space to get in an individual or group workout. 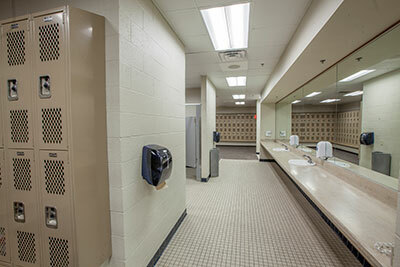 Male and female locker rooms are available for use. 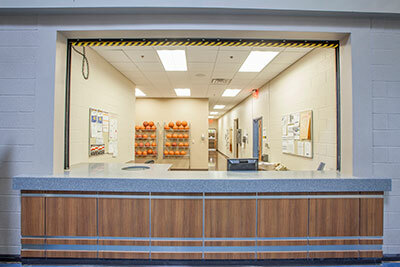 Lockers are available for rent from the Office of Campus Recreation for $20 per semester. 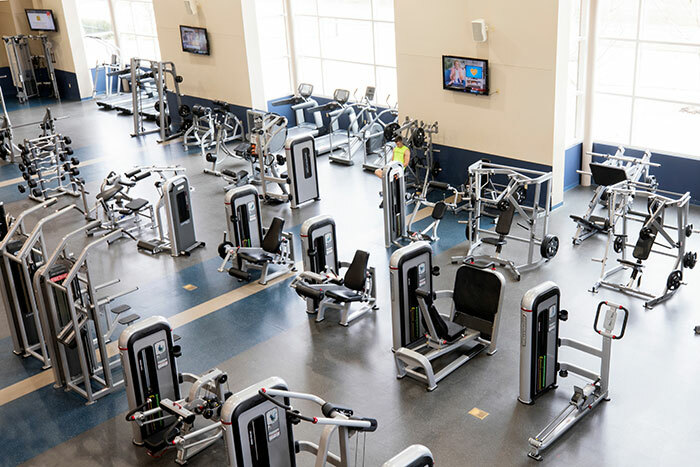 Here you will find a wide variety of selectorized equipment and free weights.